Snorkeling in Bermuda is uniquely perfect. Why? You get crystal clear waters of the Atlantic, stunningly beautiful coral reefs, numerous shipwrecks in shallow waters, submerged caves and breathtakingly beautiful marine life. You can't ask for more. In Bermuda, snorkeling can be done for most part of the year as the sea remains comfortably warm. However during November to March, the water temperature can dip close to 60 degrees Fahrenheit. So you will need a wet suit if you plan to snorkel in winter. You won't usually get wet suits on rent, so carry your own. During summer (May through October), the water temperature remains very comfortable between an average of 74 to 80 degrees Fahrenheit. So you can swim and snorkel to your hearts content during this time. And what about underwater visibility? How far and clear can you see while snorkeling? 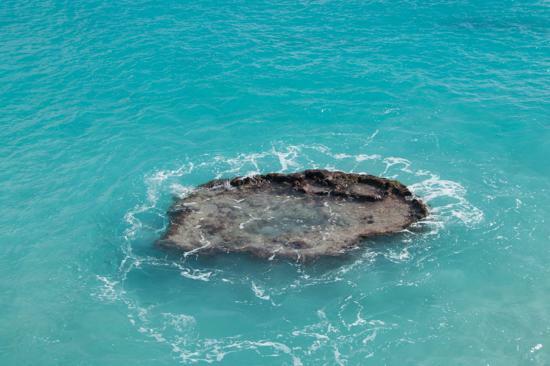 You will be surprised to know how clear is Bermuda's water. During summer when the water is comfortably warm, the visibility is between 80 to 100ft (i.e. 25 - 30 meters). And in winter, the visibility further increases, ranging between 150 - 200 ft (50 to 70 meters). So not only can you see the fish and corals in their full colors like in pictures, if you carry an underwater camera with you, you can also click stunning pictures. So what can you see as you snorkel in the waters surrounding Bermuda? It depends on where you go for snorkeling. If you snorkel from a beach, you will mostly see smaller fish like the parrot fish, butterfly fish and such. Many beaches in Bermuda have nearby offshore rocks and reefs where you can see lovely corals as well. But if you take a snorkel cruise and go offshore to a proper reef location, you can find far wider and larger varieties of fish and marine life, like the wrasse, sergeant majors, groupers, snappers and others amongst beautiful corals and sea fans. If you are lucky, you can also spot moray eels, octopus, sea puddings, urchins and more. Note that reef corals get badly damaged (bleached) as they come in contact with UV sunscreen lotions. This has been observed through a study by European Commission. Snorkelers in Bermuda are therefore discouraged from using sunscreen lotions. Tobacco Bay Beach is a great snorkeling beach and located near the historic St. Catherine's fort in St George. The water here offers wonderful view of corals, fish and marine life. There are good public facilities, snorkel equipment rentals, and a snack bar. Church Bay has always been one of our favorite snorkeling beaches in Bermuda. It’s a small little cove formed by coral cliffs in Southampton, at the western end of the south-shore beaches. The shallow reef areas are excellent for spotting many different fish and marine life. Although there is a concession stall here which used to rent snorkel gears, it's no longer open. So get your own snorkel equipment. Daniel's Head Beaches: There are several tiny beaches hidden at the western tip of the island which are probably the best kept secrets when it comes to beachside snorkeling in Bermuda. There is a public beach here which has reefs and shallow waters where you can see many different colorful fish. Daniel's Head is not known to the general tourists. It offers a quiet but stunningly beautiful water area for swimming & snorkeling when tourists are swamping the popular Horseshoe Bay Beach. Couple of operators rent snorkel gears (masks, fins etc) and also lounge chairs, umbrellas etc. Warwick Long Bay: This half a mile long stretch of pink sandy beach in Warwick parish is usually secluded and quiet, and marked by two huge boulders offshore at the western tip of the beach. You can rent snorkel gears from a concession stand on the beach which remain open during the tourist season (May to October). Jobson's Cove: A lovely scenic cove located at Warwick and part of South Shore Park (easily accessible from Warwick Long Bay along the beach trail). You can see lots of fish along the reef line. Elbow Beach: It's a wonderful beach in Paget. The reefs close to the shore keep the water calm and make it great for snorkeling. Although a part of the beach is private, the public part has concession stand renting snorkel gears, chairs, umbrellas etc. There is also a shipwreck nearby making the beach great for both reef and wreck snorkeling. Snorkel Park is located at the Royal Naval Dockyard in the western end of Bermuda. This is a great snorkeling beach for kids and families. It has all beach facilities and rents snorkel gears, lounge chairs, umbrellas etc. John Smith's Bay Beach is a wide stretch of pale pink sand with crystal clear water just off South road in Smith’s parish. Snorkel near the rocks at the west end and you will spot many different colorful fish including parrot fish. Although there is toilet facility and vendor selling snacks, you won't get snorkels on rent. So get your own gears. Some of the best coral reefs and shallow water shipwrecks are located at the western water areas of Bermuda. If you get a chance to snorkel in a place like Western Blue Cut, it will take your breath away. There are three shipwrecks within swimming distances of each other. The water visibility is almost like air so you feel like you are flying! Another excellent site for snorkeling is the Sea Garden located at the western water. You get stunning views of fish and marine life among barrier reefs. Check out Reef & Wreck Snorkeling to know about all the great reef and wreck locations for snorkeling and what you can experience there. While beachside snorkeling in Bermuda can be great, offshore snorkeling will simply blow your mind off. You can reach those offshore locations only by a boat. 2-3 hour snorkeling on a group snorkeling cruise usually costs $55 to $65 per person, including snorkeling equipment and instruction. Guides on such tours often narrate interesting historical and ecological information about the island. While there are large boats that can take some 150 snorkelers, there are also smaller boats taking only about 10 to 16 passengers for a more intimate experience on the water. An advantage with the small boats is they are faster and can reach the snorkel sites quickly, thus giving you more time for the actual activity. On the way the captain usually shares a lot of knowledge and stories. Here are some of such stories that I have heard ... "Angel fish apparently behave like angels as they sometimes mate for life"; "The 4-eyed butterfly fishes actually have two eyes", and some "Jelly fishes can sting..." and lot more. Check out Snorkel Boat Tours for all the well known snorkel cruises in Bermuda along with their offerings. If you are looking for privacy and flexibility while exploring various offshore snorkeling areas, you can also take a Charter Boat or Yacht with crew & experienced captain. In fact some operators only offer chartered sailing combined with snorkeling and. But the cost can be considerable. It works out well if you are in a private group. There are a number of places where you can get the gears and equipment for snorkeling in Bermuda. If you are availing a snorkeling boat tour, the operator usually provides the snorkeling equipment for use including underwater camera as part of the package. Some beaches like Horseshoe Bay, Tobacco Bay, Daniel's Head etc also have snorkel and other rental facilities. Renting or buying snorkeling equipment in the island is by no means cheap. Rental rate for snorkel gears (mask, fin & snorkel) start from $10 per hour and can easily reach $20 or more per day. So if you plan for a lot of snorkeling in Bermuda, it'll be wise to bring your own gears instead of buying or renting in Bermuda. Visit Snorkel Rent or Buy to know about all operators/places where you can rent or purchase snorkel gears. Select and book a snorkel tour using World's #1 online service (Viator) at low prices. 3) Bermuda Activities: All other activities in the island. Few beaches have snorkel rentals... like Snorkel Park (at Royal Naval Dockyard cruise port), Horseshoe Bay Beach (at Southampton), Tobacco Bay Beach (at St. George) etc. However the rental rates might just shock you and make you wonder if you should have brought your own stuff. Are there any snorkeling trips for people who need a walker to walk? I am 82 and need a walker to get around. I love to swim and to snorkel. My family and I plan to take the Grandeur of the Seas ship to Bermuda sometime in July of this year. Hi, unfortunately there are no snorkeling trips in Bermuda specifically for people with limited mobility. A better option would be to snorkel from one of the easier accessible beaches such as Snorkel Park in dockyard, Tobacco Bay Beach at St. George, John Smiths beach at Hamilton Parish, or even Horseshoe bay beach in Southampton. Hi, there aren't many places to rent wet suits. One place that rents wet suits is Blue Water Divers & Watersports located at Robinson Marina near Somerset Bridge at Sandys (short bus ride from the cruise port at dockyard). They rent both short wet suits ($8 an hour, $10 2 hours etc) and full wet suits (extra $5). Hi! We're preparing to go to Bermuda via Royal Carribean next week, docking in Kings' Wharf. Traveling with 2 kids, age 10 and 7. Would like a beach that is close and safe, ability to snorkel. Recommendations? I see that some of the comments for some of the beaches on your page are a few years old, so I wanted to hear of your current recommendations. Love your site...my dad turned us on to it...he's a big fan. Thanks! Hi, if you are looking for proximity, safety and snorkeling, then Snorkel Park Beach at dockyard is the one you can consider. There is an admission fee though. Our favorite is however Port Royal Cove (also known as Baby Beach because it's small). Take a beach shuttle from dockyard and reach Horseshoe Bay Beach. Port Royal Cove is located at the western end of Horseshoe (i.e. to the right as you face the water). It's a small cove and a beach surrounded by rocks, very picturesque and great for snorkeling... lots of fish along the rocky outcrops. Kids will enjoy a lot. Hi Raj, Thanks so much for this info! I know that Snorkel Park had some issues with glass on the beach, as mentioned in the comments on your site. Do you know if this has been resolved? Also, can you rent snorkel equipment on either of these beaches? Thanks again! Hi, Snorkel Park had this huge problem of broken glasses when they ran the beach parties. They have stopped it since couple of years. You will often find mixed reviews because once in a while the old problem may surface, but in general I understand that it has improved. The staffs do keep cleaning the beach but the night club which runs here sometimes becomes the source of trash. Being nearest to the cruise berths and relatively small, it can get very crowded and service on the beach may degrade significantly. It's after all a commercial place and the only beach with entry charge. You can rent snorkel equipment at both Snorkel park and Horseshoe Beach (Port Royal is adjacent to it). Hi Raj, My husband and I along with two friends will be in Bermuda via Norwegian Breakaway arriving on Wed. 5/28 in Kings Wharf. I've been researching beaches and we've decided to go to Horseshoe Bay on our own and walk the paths to Chaplin Bay, Stonehole Bay, Jobson's Cove. We are looking for a little isolation from the crowds but are also interested in doing some snorkeling. Are these locations good for snorkeling? Also can we rent snorkeling gear, beach chairs, umbrellas for these locations? Or would we need to rent them first at Horseshoe Bay Beach before we start walking? Hi, Jobson's cove and Warwick Long Bay Beaches are quite good for snorkeling. Between May to October, usually a concession stand rents snorkel gears at Warwick Long Bay. You won't get snorkel gears at the other beaches except in Horseshoe (but at Horseshoe they sell the snorkel gears, you won't get them on rent). It's best to get your own snorkel gears. Looks we'll arrive too late to snorkel without wetsuits: November 14-18. Can these be rented at the beaches you recommend? (Not interested in doing a boat trip.) FYI, we're well into our senior years! Your website is absolutely terrific. Thank you for all the facts and info. Hi, water temperature comes down to low 70s in November. Wetsuits are usually not available on rent at the beaches. If you plan to be in the water for long, try to get your own wetsuit and also snorkel gears. In November, most concession stalls at the beaches that rent snorkel gears remain closed. Only place where you may get snorkel gears is Horseshoe Bay Beach. A quick question: looking for a snorkelling tour that is heavy on snorkelling time and light on crowds. It seems most tours are about two hours, with about one hour for snorkelling. I would prefer much more time in the water, but they all seemed to be about the same duration. The faster boats look to have shorter tours, so you don't gain more snorkelling time with a fast boat. I also noticed the rental options for small motor-boats. That would seem to be a good option. Can you generally access good snorkelling spots from a self-guided tour, and if so, is it best to go from the Somerset area? Thanks again. Hi, really liked the detail and review comments in your web-site. Where would you suggest for a hotel/guesthouse that has good snorkeling right on the beach? I would prefer somewhere generally quiet and not too crowded. Time-wise, perhaps September. Perhaps in the $250/night range, which I realize makes it harder to locate this kind of place. Or maybe somewhere that is a quick walk from a good snorkeling spot. Thanks for your help. 1) Clairfont Apartments located in Warwick Parish. It has self catering units & studios (with fully equipped kitchen). Located within 5 minutes walk from the Warwick Long Bay Beach. This beach has several coves, rocky outcrops along the beach and rocks on the water that are excellent for swimming. In fact you can walk down the sandy trail from Warwick Long Bay Beach to easily reach several other coves and beaches some of which like the Jobson's Cove are great for snorkeling too. So this accommodation gives you a choice of several snorkeling areas along the south shore and all within easy walking distance. 2) Outback located in Southampton: This is a two bedroom budget apartment with modern amenities and fully equipped kitchen. Church Bay which is arguably the best snorkeling beach in Bermuda is located within 2-3 minutes walking distance. The bus stop and couple of restaurants are also within few minutes walk. You can book this accommodation through bermudagetaway.com where you will find more information. Hi, Snorkel Park is getting terrible reviews these days. Our personal favorites are Church Bay and Tobacco Bay beaches. Regards. Hi Raj, You are a treasure. Thank you for the warning. There are plenty of other good places we know now, so we will avoid Snorkel Park. If you have a few seconds you could tell me where on the beach does your son access his favorite snorkeling reef. Thanks again. Hi Andrew, I haven't been to Snorkel Park in recent time. But what I understand is they do the clean up work regularly but the beach gets littered with glasses almost daily at night. It's not just the beach party. it's mainly the night club (SPB Club) which runs until wee hours on the beach every night. You won't see much broken glasses on the exposed beach. The dangerous part is the sandy bottom under the water which is not easy to clean. You will find horrifying reviews of Snorkel Park even in my website and that too in recent time. So, I would rather avoid a snorkel venture there for now. Being in St. George, Tobacco Bay would be a much better and more convenient choice for snorkeling. For shallow easy snorkeling, you can also consider Shelly Bay Beach. It's easy to reach from St George. Hello Raj, First I want to thank you for your website. It is excellent and will be very useful for our July 5 trip. I have some questions: 1.) I looked at Google map and found a Daniel's Head Beach Park and also a Daniel's Head Park. Although close, they are not adjacent. So where is the good snorkeling area? 2.) You mention the wreck Vixen and say that you need boat snorkeling for that. But I checked out the websites of your recommended tours and none of them seem to go there. 3.) Although I am an experienced snorkeler. I like to get close to the corals and fish and because of an injury to my shoulder I can no longer free dive. So the Western Blue Cut wreck dives do not have strong appeal to me because they are more than 15 ft deep. I would much prefer a shallow lush coral garden to a wreck. What is your recommendation? Thank you ever so much in advance. Hi Andrew, It's the Daniel's Head Beach Park where you should go. It once used to be the base for Canadian Army (CFS) during the world war II. You can still see the abandoned barracks and structures. It is hard to find a quieter and unspoiled place as this one which is so close to the dockyard. Now about the snorkel cruise. Jessie James until recently offered snorkel around the partially submerged wreck of HMS Vixen. But they cut short the number of snorkel sites (from three to two) and the hours. This is due to the cost pressures and they had to keep the rates same as before to stay in competition. You can take the Sightseeing & Snorkel Tour of Fantasea or Reef Explorer. While they will take you to the Vixen area, the snorkeling is done in a separate shallow bay (3-ft water). But if you want to snorkel at the Vixen site itself, you can take a boat rental (small motor boat) and easily go down to that place. An additional advantage is, you can go around and explore several other small islands and secluded beaches. But note that you will be on your own and should therefore take all necessary safety measures. The boat rental company will of course give you all the gears including snorkel gears. 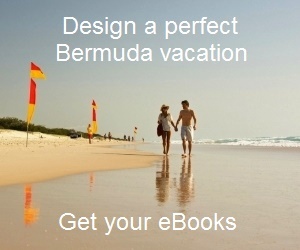 If this is of any interest to you, then check out Bermuda Boat Rentals for details. 1) Sea Garden: This is a shallow reef area in the western waters. The average water depth is about 8-ft. You can see beautiful corals and lots of marine life. It feels like you are in a garden under the water and therefore such name. Jessie James covers this place as one of their snorkel sites. 2) A secluded cove: Restless Native in their pink catamaran takes you to a secluded cove area with shallow water. You can either swim and snorkel there or follow the guide to a deeper reef area for snorkeling. The beaches and snorkeling in Bermuda far exceed my expectations. The number and colors of fish for the amateur will make your vacation. Sadly the amount of glass and trash on the island is overwhelming. Even the most famous beaches such as tobacco bay and elbow beach have glass hiding in every nook and cranny. It is disappointing and dangerous. Keep your water shoes or fins on! As a side note even the formal Botanicals Gardens has so much glass and trash you grow weary picking it up and start to ignore life it like the others. Bermudans have a glorious spot but they had best start doing some strong conservation/ecological teaching in their schools or they will have nothing more than a floating garbage dump. That goes for some tourists also. I am visiting Mar 13-20th and love to snorkel. I fear the water may be too cold but would it be ok with a wetsuit on? Also, are there any boat snorkeling tours available in this time period. I am also looking forward to going whale watching. Hi, Water will be cold during March. The average sea temperature during March is 66 degrees. But the water visibility is very high (150 - 200 ft). So if you can manage to snorkel, the rewards will be awesome. It should be okay with wetsuits on. Snorkel boat tours usually do not operate during the low season like in March. One of the operators you can try is Snorkel Bermuda. Captain Sonny of Snorkel Bermuda also offers Whale Watching tours. You can also go over to the Ferry Terminal at Hamilton city. Many boat operators start their tours from there during the high season. If you are lucky, you may still be able to find one, but chances are low.